You will be gently guided on a journey that will re-awaken the dormant wisdom that is held deep within the cell structure, as well as deep within the body of the Earth herself. 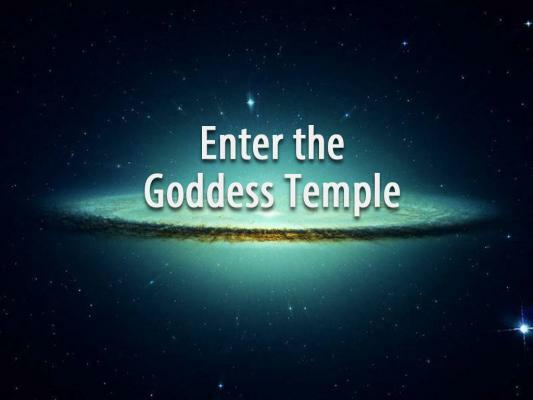 Being transported through this doorway of Ascension you will 'see' the very heart of the Great Mother being Mothered, and an insight into the deeper wisdom of the Galactic heart will be available to you. The real purpose of the awakening to feminine power is being actualised through you. As you harness your own gifts, and reprogram the coded information that has denied so much until now, a rebirthing of You is made possible. Rewritten, you will see the bigger picture and stand tall within the Goddess Temple.